(VEN) - Biotechnology is expected to account for more than 40 percent of the contribution of science and technology to the added value of the processing industry in the 2016-2020 period. This is the objective for the plan to promote the application of biotechnology in the processing industry until 2020. According to the plan management board under the Ministry of Industry and Trade, 80 percent of trial production projects carried out from 2007-2015 were based on the results of research conducted under the plan. Most of research results which have been applied in production were highly appreciated for their contributions to the quality of products. Biotechnology accounted for 15 percent of the total contribution of science and technology to the added value of processing industry-related products in this period. The plan’s objective for the 2016-2020 period is promoting biotechnology in the processing industry to the level of technologically advanced or developed countries. Biotechnology is expected to account for more than 40 percent of the contribution of science and technology to the added value of the processing industry. To realize this objective, further efforts are required to promote the application of modern biotechnology to create new types of microorganisms that are of good quality and high, stable fermentation efficiency; produce various types of enzymes, especially recombinant enzymes, for use in the processing industry. Furthermore, it’s necessary to increase investment in technical facilities and human resources development to promote biotechnology in the processing industry. In the 2016-2020 period, the plan will be focused on research and development as well as trial production activities, promoting key products and services for the processing industry. In the field of microbial biotechnology, further research will be conducted to improve microbial fermentation technologies; create microproducts catering for the processing of food, animal feed, additives, and chemicals. 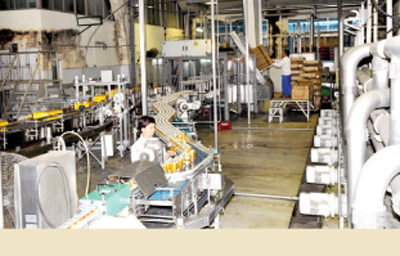 Technical assistance for businesses will be promoted to boost the application of research results in production. New technologies will be imported to help persify domestic products and improve their quality and competitiveness. In the field of enzyme and protein technology, further research will be conducted to create new types of enzyme and protein for use in processing food, animal feed, additives, and chemicals. Research results will be transferred so that domestically produced enzymes and proteins can be used in mass production. At the same time, specific types of enzyme and protein will be imported to help persify processing industry-related products and improve their quality and competitiveness. 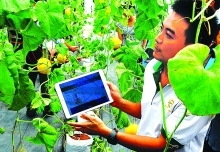 The budget for implementing the plan to promote the application of biotechnology in the processing industry in the 2016-2020 period is about VND372.5 billion (VND74.5 billion for each year).